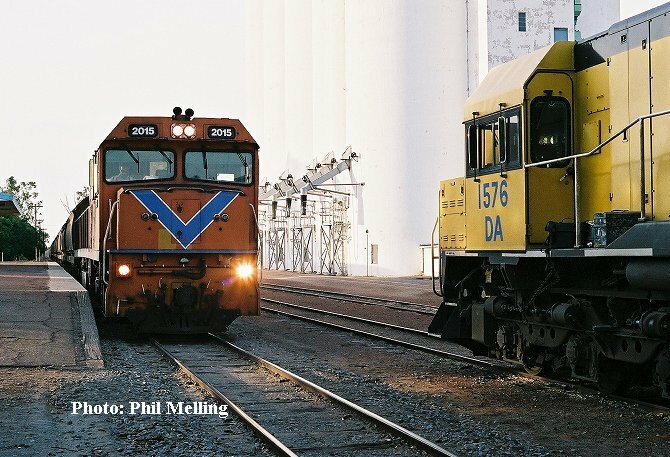 Three Springs is located south-east of Geraldton, for rail operations both grain and the mineral talc are railed from there to Geraldton Port. This page features a few photos taken around Three Springs. Don Copley's WA Stations website contains further information on stations such as Three Springs. You can get to Don's webpages via a link on our "Links Page". DA1576 stands with a loaded talc train at Three Springs on 2 December 2003. 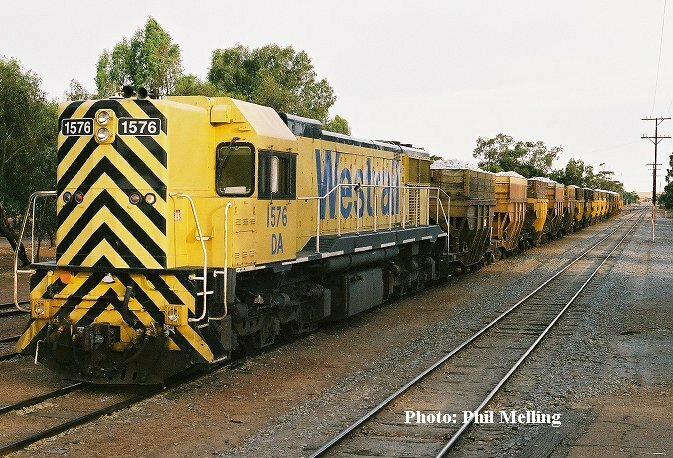 DA1576 stands on the lead of the loaded talc train and P2015 has arrived with the empty coal train from Narngulu, both trains will then leave to there respective destinations of Geraldton and Perth. Photo taken on 2 December 2003.